A quick and easy way to carry your kayak on a vehicle if you don-Feett have a rack system. 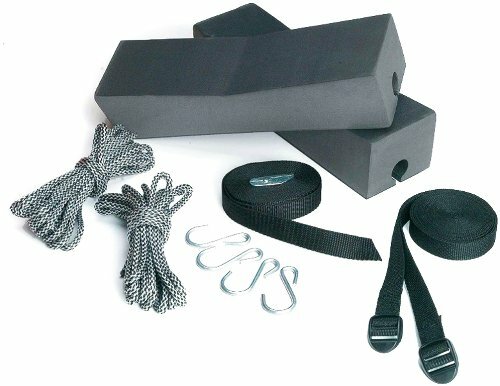 Kit includes: (2) universal mini-cell foam blocks, (2) 9-Feet nylon straps to secure the foam blocks to the kayak, (4) -FeetS-Feet hooks to attach ropes to vehicle-Feets bumpers, (2) 9-Feet ropes to connect the boat to the vehicle-Feets bumpers and (1) 15-Feet nylon strap to fasten the kayak to the vehicle roof through car doors or windows. View More In Rooftop Racks.